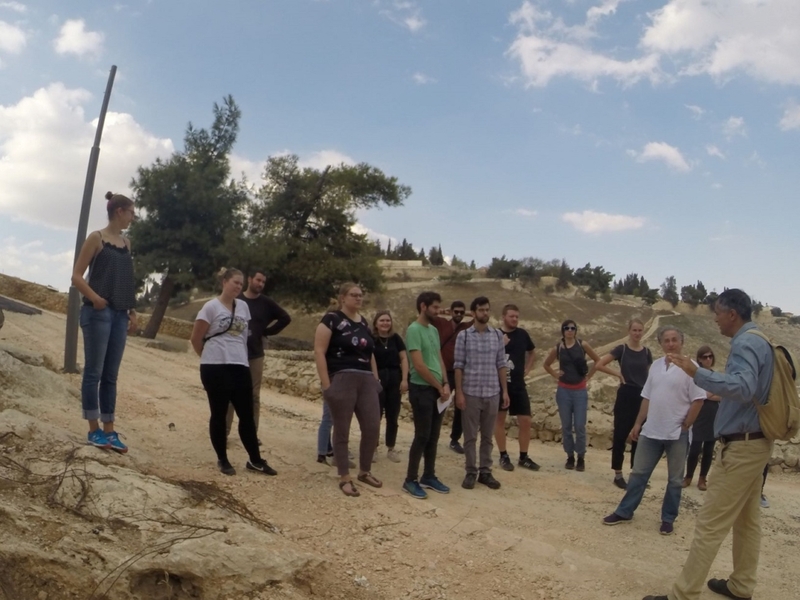 The women’s delegation of the Socialist Youth of Germany – The Falcons – stayed in Israel and Palestine from the 12th to the 19th of October 2018. We have agreed on an all-female delegation, focusing on exchange meetings with our sister youth movements, because we find it extremely important to debate matters of feminism and empowerment within our respective organisations. Hence, we were highly appreciative of the inspiring workshops that took place in cooperation with our partners. During the first two days of our trip, we participated in the annual conference of the WBC, held under the Jerusalem Open Forum – Past and Future Reflection and Creation. There, we met with the leading group within the educational cooperation, which had prepared a wonderful workshop concerning peace education. In this workshop we had the opportunity to discuss and learn about the movements involved, as well the project itself. We also had a very enjoyable and informative experience while playing the peace education games that the leading group had developed. Following the workshop, we attended a presentation by Prof Ali Qleibo on “The History of the Abu Tor Neighbourhood and the House of the Willy Brandt Center”. Since the neighbourhood is quite old-aged, many personal stories are intertwined with its history. The first day found its perfect ending with plenty of delicious food, great wine, and lovely music played by the UNESCO Jazz Journeys. On the conference’s second day, we participated in a workshop held by Dr. Omar Yousef, on Jerusalem’s urban development and its future. The workshop was exceedingly insightful, as a number of local residents took part in the debate and pointed out some rather interesting aspects that otherwise we probably would not have heard of. After an excellent lunch, we were delighted to join Yoni Mizrachi in a beautiful tour through Hinnom Valley, ending at a spot from which we could enjoy a lovely view over East Jerusalem. After the conference, which we were glad to have attended, we spent a few very exciting and informative days with our partner organisations from the Middle East.